At least 23 confirmed cases of salmonella illness from raw chicken in N.B. The Public Health Agency of Canada has confirmed that 419 cases of salmonella cases are confirmed and 23 of those are in New Brunswick. At least 23 people in New Brunswick have reported salmonella illness after it was linked to raw chicken — including frozen raw breaded chicken products — by the Public Health Agency of Canada. There have been 419 confirmed cases across Canada. Quebec has the highest number of cases with 98; Alberta has 60; British Columbia, 36; Newfoundland and Labrador 10 each; Nova Scotia, nine; Nunavut, two; and P.E.I., Northwest Territories, and Yukon with one case each. Today, the agency issued a statement advising proper food safety practices, in particular for frozen raw breaded chicken products such as chicken nuggets, chicken strips, chicken burgers, popcorn chicken and chicken fries. "These products may appear to be pre-cooked or browned, but they should be handled and prepared with caution," the statement said. According to the agency, the food must be prepared by following the instructions and checking the temperature. 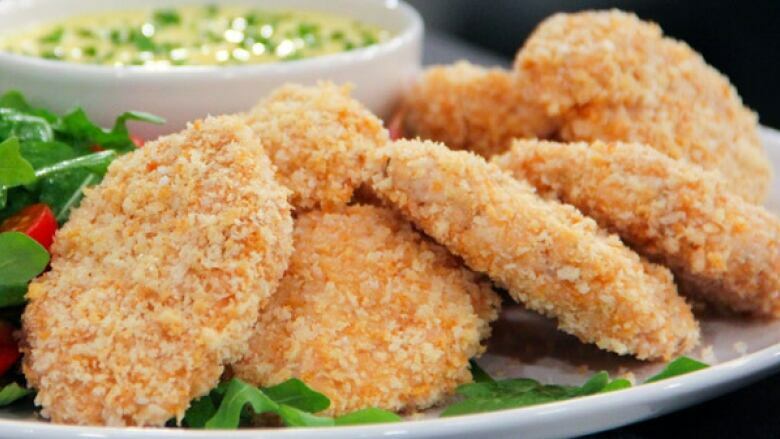 "Frozen raw breaded chicken and raw chicken pieces must be cooked at an internal temperature of at least 74°C (165°F) to ensure that they are safe to eat. Whole chicken needs to be cooked to an internal temperature of 82°C (180°F)."